Travis, magician. : Photos: Screaming Chicken Christmas Spectacular Photobooth. Photos: Screaming Chicken Christmas Spectacular Photobooth. The cast of Dr. T and The Professor's Christmas Miracle, minus Dan Hill. 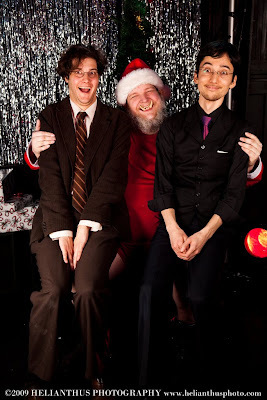 Sean Covernton (The Professor) and me (Dr. T), with Santa Claus.